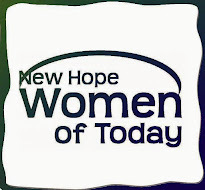 Find us all over the web with our New Hope Women of Today Hashtag, #NHWT. Please include our hashtag each time you post a NHWT video, photo, or Story. We love to see our name on all of the different multimedia platforms.